I'm not saying the movie The Social Network was "about" scale and scalability -- I don't think movies have to be "about" anything at all. If a movie will take me up and down a bunch of peaks and valleys then deposit me right back where I started like an amusement park ride, I'm okay. 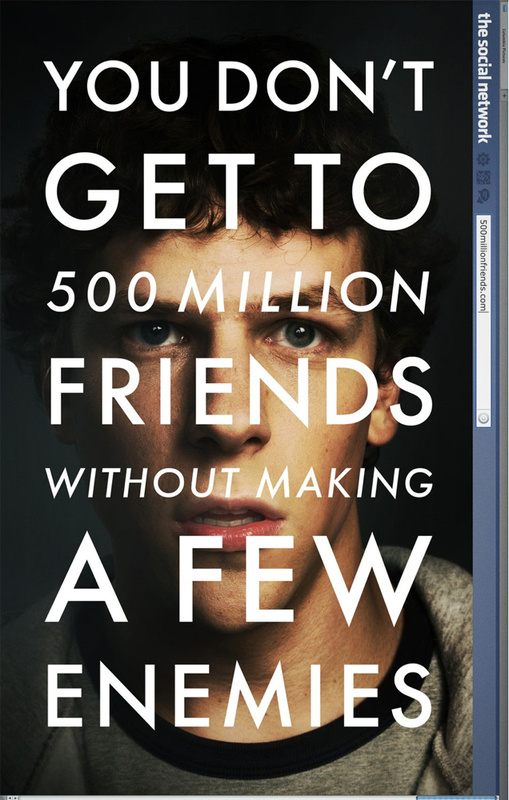 But I think The Social Network used scale and scalability in novel ways as devices to tell the story and to keep us engaged. It is through the characters' abilities and failures to recognize the scale and scalability of certain phenomena that the story unfolds. They can't even be compared. The original best-case goal is too small even to show up on the chart. That the concept of Facebook went from that number to the current one seems to show that it scales up very well, no? So from there, where to? How many people can actually be on Facebook? Is the market saturated? Let's see, there are about a 1,300,000,000 people in China, almost that many in India -- all in all around 6,500,000,000 people without Facebook accounts. Of course, not all of them are old enough to operate a computer, not all of them have computers or internet access to begin with, and perhaps not all of them would want to sign-up even if they did have the ability, and the access. However, you can chart them on the same scale. 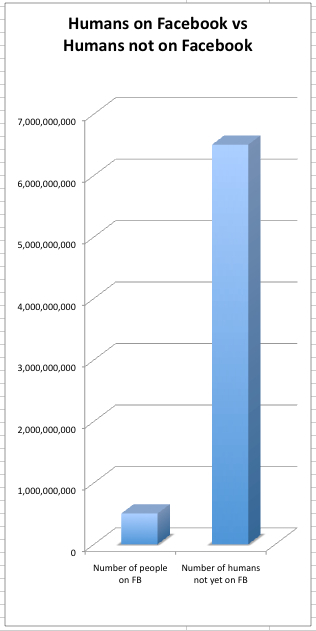 Here's a chart showing the people on Facebook, and the people not on Facebook. All people on the Earth who have Facebook and who don't have Facebook can be described using the same scale. Hmmm. Looks familiar doesn't it? I think I can see the problem the Winklevosses are having. They don't have a good idea of the actual scale involved. This problem afflicts not only the Winkelvosses but the co-founder and original CFO, Eduardo Saverin. While Zuckerberg is on the West Coast trying to light up the bigger, better Facebook, Saverin is making cold calls to companies trying to get them to buy advertising on their school web site. After Zuckerberg abandons Harvard for these vast new horizons, Saverin insists on staying in school. I guess so he can...uh...get a good paying job when he graduates? What's with this guy? Isn't he supposed to be one of the best and brightest and most ambitious of us? Uh oh, the Winklevosses lose again. But for most people, these numbers are just astronomical and unreal. I can't imagine being unhappy with $65,000,000 even if I had to share it with my brother. (We are not twins.) But wealth is relative and you use the scale of the people around you to determine your wealth. I'm about as wealthy as my neighbor. Duh, that's why we live in the same type of place in the same part of town. I could immediately become richer by either acquiring more wealth, or by moving into a poorer part of town. Wealth doesn't scale like potatoes. A large potato 1,000 times larger than a small potato would be so huge that it's unlikely even to exist on the face of the Earth (or even a bit under it). Wealth uses a different scale and it's one where the Winklevosses always have the opportunity of being small potatoes. In the movie we also get to laugh at them losing in the rowing contest to the Dutch by a mere one second. In this scale, they are almost imperceptibly equal to the winner. Yet they lose again. (In real life they went to the Olympics and came in 6th.) It's not often that we humble people get to laugh at a rich and privileged guy who says, "How can I lose? I'm six five, two twenty and there are two of me." Ha ha. I laughed. And I enjoyed laughing at them. The movie would have us believe that Mark Zuckerberg was driven at least in part to impress his ex-girlfriend Erica Albright. 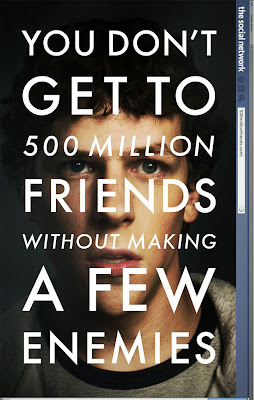 And in fact, the movie ends with him finally deciding to press the Friend request button on Erica's Facebook page. As we fade to black he is hitting refresh every couple of seconds waiting impatiently for her response. That's to show us that the "friends scale" is about the same for all of us. We all have around the same number of friends. 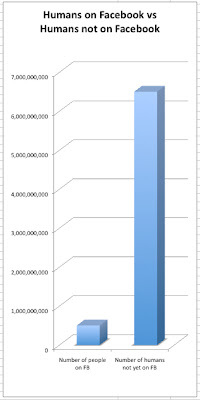 Our number of friends -- unlike our wealth -- can be shown on the same scale. And a friend has the same high value for each of us without regard to our material or social status. By "friend" I mean, you know, friend. Not "Friend" as in the up to 5,000 you are allowed to have on Facebook. They're different scales, man. Note: H. Doug Matsuoka currently has 133 Facebook friends and is not accepting more friend requests. you found the key to the movies ciphertext.